Skystar brushed through the entrance of thorns, her tail flicking to signal the warriors behind her on. She padded up the hill, her pawsteps completely silent. She paused a moment before heading down the hill, headed towards Star Island. One of the apprentices raced past her, excited for their first Gathering, until her mentor sternly meowed for her to come back. She almost purred at the excitement racing through the cats as they got closer. Finally, Skystar reached the log leading to the island. She jumped up, digging in her claws to keep her balance, and walked across. Her warriors followed one by one, starting to chat excitedly as they reached the island. Just before pushing through the bushes, she sniffed the air to see who was here. Noting that they were the first ones, she entered the clearing. Skystar's clanmates were already settling down in their favorite spots, getting ready for the gathering. She leaped up onto the rock wall and sat down to wait. Sandstar leaped onto the log leading to Star Island. As she padded across, her claws digging tightly into the wood, she sniffed the air, searching for signs of other clans. She detected a stale hint of all the clans from when they were last here, but a strong scent of Skyclan suddenly overpowered the rest of the scents. She smiled, glad that she wasn't the first clan again. Suddenly realizing she had paused and the rest of her clan was waiting for her to go forward, Sandstar padded on to the end of the log and jumped off. Brushing past the the bushes in the front, she instantly looked up, searching the rock for her friend. Spotting Skystar, she let out a meow of greeting, and walked over to the rock. 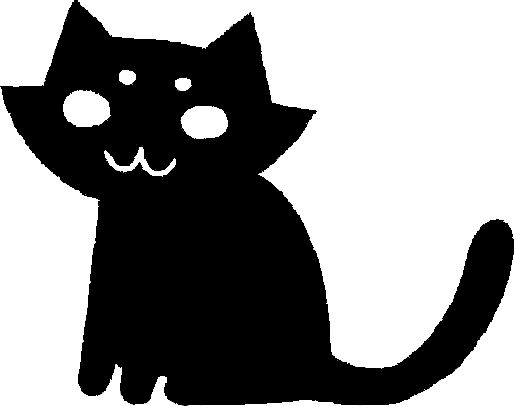 Once she had jumped up, she looked around quickly, making sure everyone in her clan was there, and as soon as saw them all mixing with Skyclan cats, Sandstar turned to Skystar, purring. As she sat down to talk, she shivered at the cold gray stone underneath her. Sandstar fluffed out her fur, which was Greenleaf thin, not good for cold nights and days in Leaf-fall. "How are you?" Sandstar purred as they waited for the other clans. (OC) Darkpaw has become Darkfoot now. (IC)Fireshadow followed her leader down the slope of Lightningclan's territory. When they reached the log leading to Star Island, she paused, waiting for her clanmates to catch up. Darkfoot looked at her excitedly, for this was his first gathering as a warrior. She purred, then jumped up on the log and started to pad across. Reaching the island, she pushed through the bushes to find Skyclan and Forestclan already there. Fireshadow padded across to the clearing where the other deputies sat. Sitting down with them, she got ready to start the Gathering. Sandstar watched as the final clan's leader leaped up onto the highwall to start the gathering. She stepped forward, ready to give her report. Her paws felt icy on the cold rock. "Forestclan is safe and doing well. For now, the amount of prey is still plenty, and we are all full-fed." She said, her voice echoing across the island. Then, stepping back, Sandstar let Skystar go. She sat down to see what Skystar had to say, and waited for the cold gathering to end. Shypool listened to her leader talking and agreed with everything she said.She looked at the new warrior,he was trembling with excitement,and so was she.She watched as Sandstar sat down and watched Skystar step up,then felt a nip on her back.It was a flea. "Well, i can't get it in a gathering! "she thought as she began to itch.She tried to stand upright and look normal,but she ruffled her fur.She would have to wait she decided as she payed closer attention to the leaders' report. Skystar stepped forward, her eyes on the clearing before her. "Our clan is doing well, with no signs of sickness, and plenty of prey. We have scented traces of Fireclan, but they didn't seem to be very strong, so don't think we are accusing you of anything. Yet." Skystar meowed, then stepped back, dipped her head to Brownstar for him to give his report. There was a short period of silence as Brownstar simply sat there, nodding to Skystar in return but otherwise not moving. He was using it as an opportunity to prepare, recompose himself after the other leaders' reports. The warning to Fireclan was interesting, very interesting. Last moon they had found a young Fireclan warrior lost on Lightningclan territory. When they confronted her she had been agreeable enough, allowing herself to be led back to the border without a fuss. Normally it wouldn't be something to get worked up about, but he wondered what would happen if he pressed the point. Was it really an accident, like it had seemed, could she have been a spy? Would suggesting it anger them? Would it be to his benefit? Although he acted like he had been leading for half his life, he had only had the position for five moons. Four Gatherings before he had announced Pigeonstar's death, and that wasn't nearly enough time to master thinking quickly. But Pigeonstar's death reminded him of some of the advice that his leader had insisted on drilling into him before he passed away. With those words echoing in his head, he acted, stepping forward to take his place. "Lightningclan is no different. We have more than enough prey to feed us, our warriors are healthy and strong, and there have been no important threats to our territory." He couldn't help the slight emphasis on important, but decided to let the matter drop as he stopped for air. "In fact, a new warrior has joined our ranks. Darkpaw is now known as Darkfoot." Brownstar paused for a few seconds, giving cats time to react to the news before continuing. "Although with that I must bring sad news. Lightface has been injured stopping an owl from taking one of our kits, and must step down as deputy. In her place, I have chosen Fireshadow to replace me after I am gone." He sat down, looking quite pleased with himself. Fireshadow waited expectantly for Brownstar to step up. She had introduced herself to the other deputies quickly, and purred with proudness as Brownstar finally stepped forward and announced her apprentice's warriorship. She joined in the yowling of Darkfoot's name and murmurs of appreciation, for Darkfoot was well known, and very friendly. She held her head high when Brownstar announced her new role as deputy, and felt a rush of happiness at all the yowls of her name. Watching as his report ended, she watched the Fireclan's reaction to this news from both Brownstar and Skystar. She figured nothing too drastic would happen, since they hadn't actually accused Fireclan, only left veiled messages, but sighed in relief anyway as the Fireclan leader stepped forward calmly and gave his report without saying anything about the scents or sightings on the territory, only saying that he would talk to his warriors. Tense from the ruffled feelings in the clearing, Fireshadow was glad to see the warriors being round up in each clan to leave. Skystar leaped down at the end of Fireclan's report and padded towards Brownstar as he was leaving. She wanted to talk to him about this Fireclan business, and was wondering what Brownstar had found. "Hey Brownstar. I was just wondering what you found on your territory, and your thoughts about Fireclan's reaction to our messages. They didn't even seem a bit ruffled, at least not their leader." She looked puzzled as she flicked her tail for her warriors to get ready to leave.